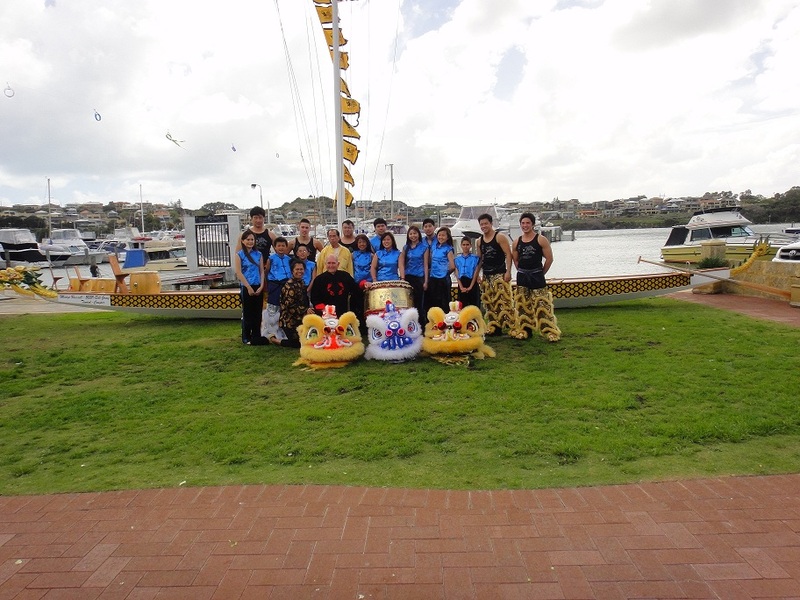 On the 18th of September the Chinese Community Centre (CCC) Lion Dance Troupe had the great opportunity to perform at the Dotting ceremony of the new dragon boats for the Fremantle Swan Dragon Boat Club (FSDBC). 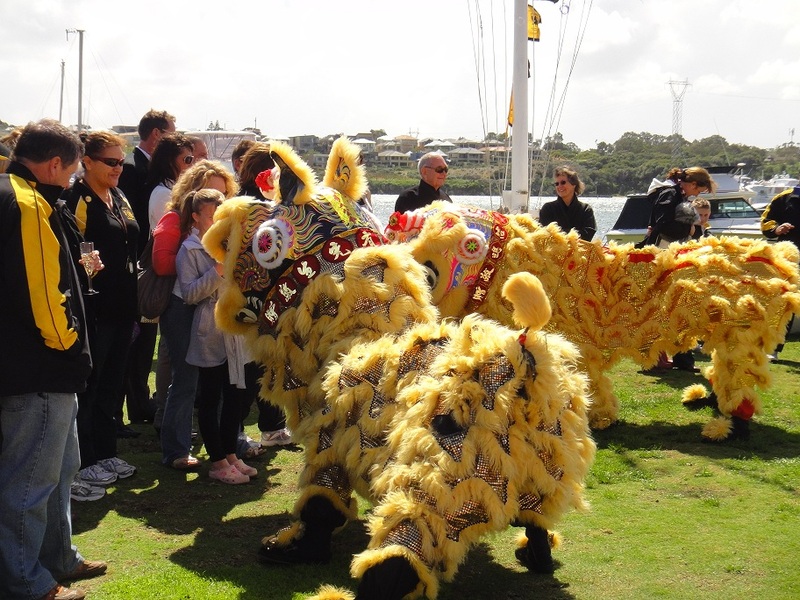 The FSDBC is the oldest dragon boat club in Australia, being established in 1981. The FSDBC was the first Australian team to compete in Hong Kong and Macau. The club has had the honour to race in places such as Hong Kong, Macau, Thailand, Penang, and Taipei with great race successes on many occasions. On the day of the ceremony, 3 new dragon boats were dotted (dotting symbolizing the opening/awakening of the dragon boats), which then followed by the Lion Dance in celebration of the new dragon boats. The CCC Lion Dance troupe will like to thank everyone at the FSDBC for the pleasure of performing and attending the dotting ceremony. We all hope to see you all next year. 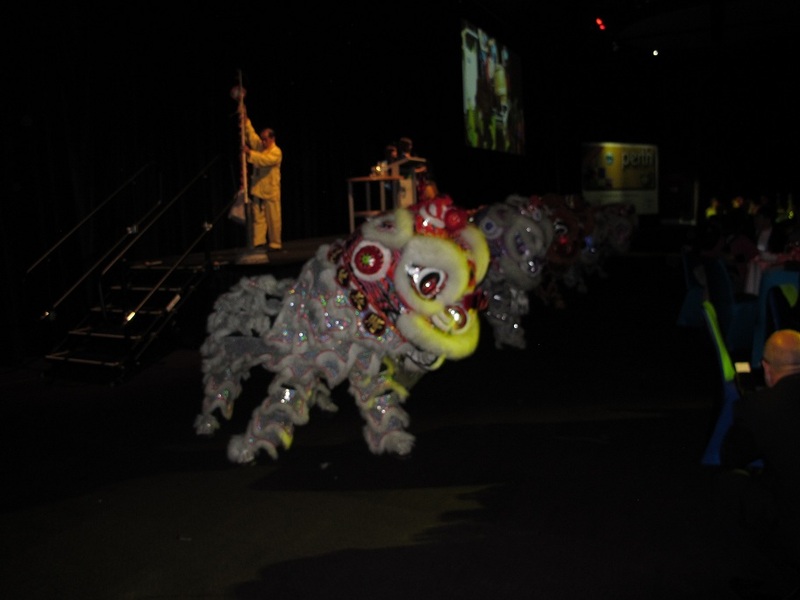 The Chinese Community Centre (CCC) Lion Dance Troupe had the great opportunity to perform at the 2011 IDA World Congress Gala Dinner held at the Perth Convention Centre. The IDA are the leading global organization dedicated to desalination, desalination technology and water reuse. IDA is commited to development and promotion of the appropriate use of desalination and desalination technology glaobally in water supply, water reuse, water pollution control, water purification, water treatment and other water sciences and technology. The IDA World Congress is held every 2 years in venues around the world. This year, the IDA chose Perth, Western Australia as the venue for the IDA World Congress. The CCC Lion Dance troupe performed a 5 lion, lion dance performance near the end of the Gala dinner to announce that the 2013 IDA World Congress will be held in China. After the lion dance, a 20,000 piece firecracker display was lite to end the night. The CCC Lion Dance troupe would like to thank the team at the Perth Convention Centre, and IDA for the great opportunity in performing the Lion Dance at such a prestigious event. On a personal note, this performance was the last lion dance performance for CCC member Eric Cheng. Eric came from Hong Kong to study and work in Perth, and has now decided to return home to be with his family. Eric joined the group in 2009 and has provided significant contributions to the team. Eric was able to finish his lion dance career on a high by performing, and being the lead lion at the 2011 IDA World Congress Dinner Gala, with his parents watching in the audience. From the family at the CCC Lion Dance Troupe, we would like to thank Eric for all his hard work and contributions, and we wish you all the best for your future.